No, we’re not running today, no matter what the Nike app suggests in the image above. But we now know when we will be. Apple quietly updated its Apple Watch Nike+ website to include an October 28 release date. The Apple Watch Series 2’s upgrades focus relentlessly on fitness tracking, as detailed in Macworld’s comprehensive Apple Watch Series 2 review, and the Apple Watch Nike+ cranks that to 11. This special Watch build has a perforated sports band for enhanced ventilation, and is paired with the Apple Watch Series 2’s lightweight aluminum case. Of course, it still offers core Apple Watch Series 2 features like built-in GPS and water resistance up to 50 meters deep. But this collaboration goes beyond mere physical design. The Apple Watch Nike+ includes numerous runner-centric software touches, such as special active watch faces and the Nike+ Run Club social app, which provides you with motivational prompts, workout comparisons and fist bumps with friends, run scheduling, personalized coaching sessions, and more. 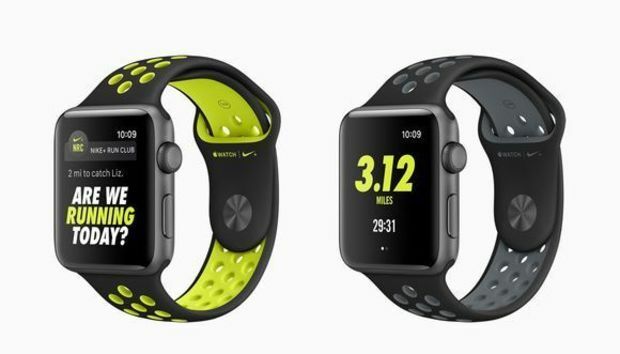 The Apple Watch Nike+ will be available in a variety of colors, at the same starting price as the Apple Watch Series 2 itself: $369 for the 38mm version, and $399 for the 42mm model.